Seattle is not short on movie theaters and includes plenty of run-of-the-mill movie theaters with major brand names. 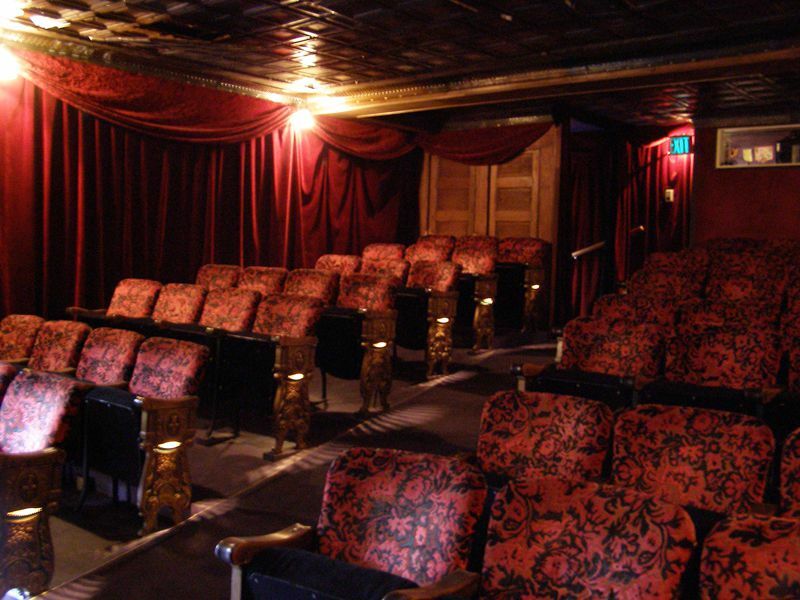 But if you want a movie experience, look not to one of the major chains, but to one of Seattle's indie theaters. These offer major film releases, second-run films as well as independent films, depending on the theater, but they also come with extra perks, ranging from cool atmosphere to food and drinks. If that's still not enough, Seattle also has movie theaters that serve alcohol. The downtown Seattle Cinerama is a perfect balance of forward-looking 1960s design and modern touches like stadium riser seats. Local billionaire Paul Allen bought the place in the late ‘90s and renovated it into the movie theater of his dreams. Today, it’s the Northwest’s premiere movie-watching venue and one of the few theaters left in the country that still project the “Cinerama” process as well as traditional 70mm. On the other end of the spectrum is the U-District’s cozy Grand Illusion. Little more than a living room, the theater may be intimate but the film selection is adventurous. The volunteer-run programmers do a better job of keeping things fresh and minimizing duds than any place in town. The only theater that will screen a Chaplin classic at 7 p.m. and an X-rated Alice in Wonderland at 11. SIFF is more than just the festival, it’s a (mostly) year-round program in SIFF’s new dedicated theater below the opera house. The best projection in town, SIFF Cinema specializes in new prints of classic and new cinema. Whatever is playing here, it will look fantastic. Yes, the Seattle Art Museum has a film series. While films screen here only once or twice a week, the selection is usually top-notch, with recent programs dedicated to Alfred Hitchcock, Preston Sturges, and Steve McQueen. If repertory is your bag, SAM is where it’s at. Crest – Remember when movies used to be three bucks? When you didn’t have to plan ahead and negotiate with your friends and family about what you were seeing. When you just “went to the movies.” Well, at the Crest you still can. For the price of a small popcorn at the multiplex, you can take the whole family to the movies. Another second-run theater, the West Seattle Admiral will often mix in an independent film you cannot see elsewhere. The Admiral also boasts a Crow’s Nest lounge with drinks served and plenty of non-cinematic cultural events. Grand Cinema - Tacoma’s Grand manages to combine pretty much everything that’s great about Seattle movie theaters into a single theater. Beautiful old theater? Check. Eclectic selection? Yep. Cheap tickets? You got it. The Grand is a civic and cultural gem—and it hosts the annual Tacoma Film Festival to boot.